When you find a Ryokan that you like click “Check Availability”. Remember that you must make your reservation at least 1 week before your planned stay. 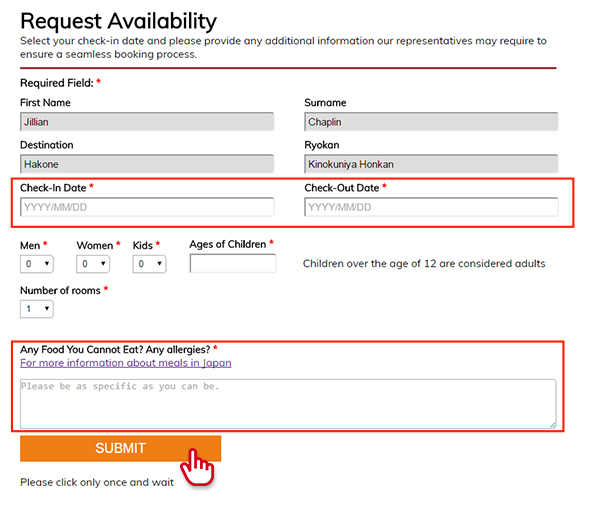 Please select only your top 3 Ryokans per destination so we can have better idea of the type of experience you are looking for. Fill out the request form. Make sure there is no mistake. Let us know if you have any special meal requirements like allergies or celiac. Please click the submit button only 1 time and wait few seconds. 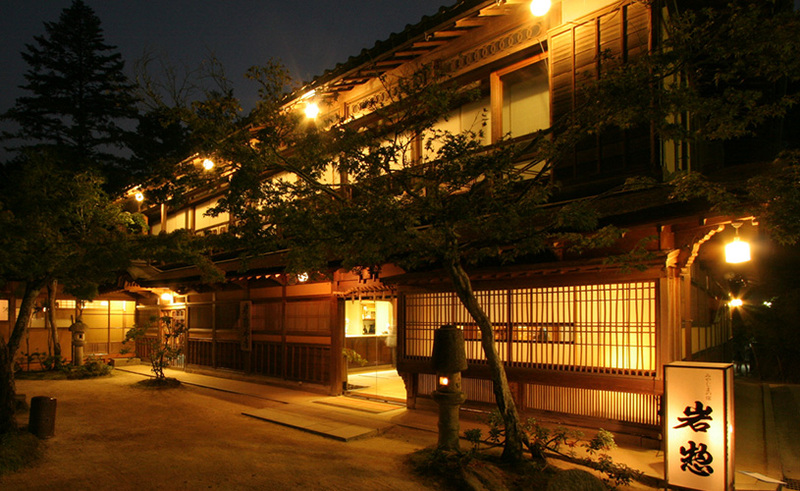 We will then contact the Ryokan you selected to check if there is a room open for you. Please be patient while we contact the Ryokans. 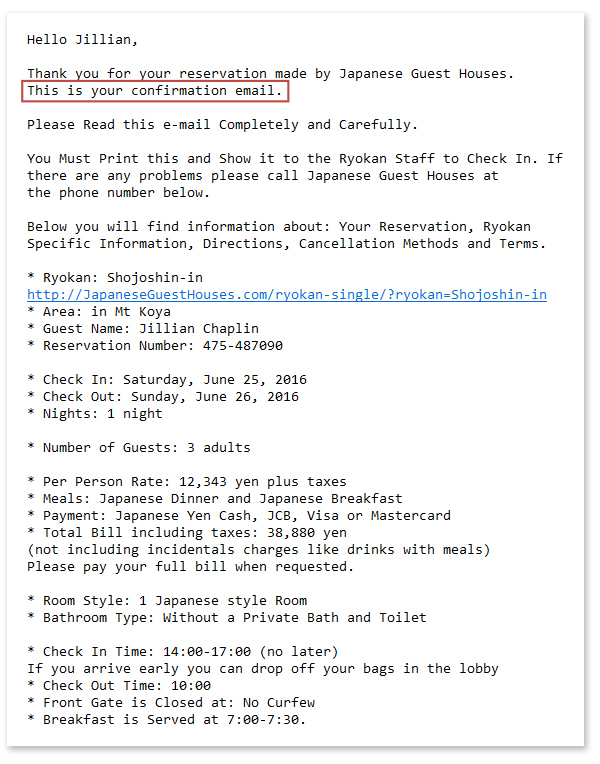 This e-mail details the room available. Please make sure all details are correct (Dates, Number of guests,…). To confirm the reservation, please click the red button. If you do not receive this email in 72 hours please contact us at +81 72-756-6242 Monday to Friday, 09:00 to 17:00, Japan time. 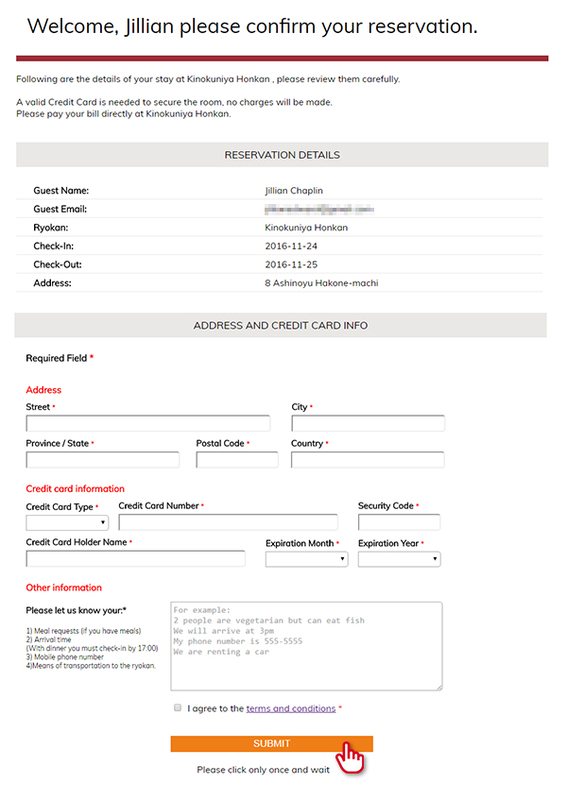 Fill out the confirmation form. Make sure there are no mistakes. 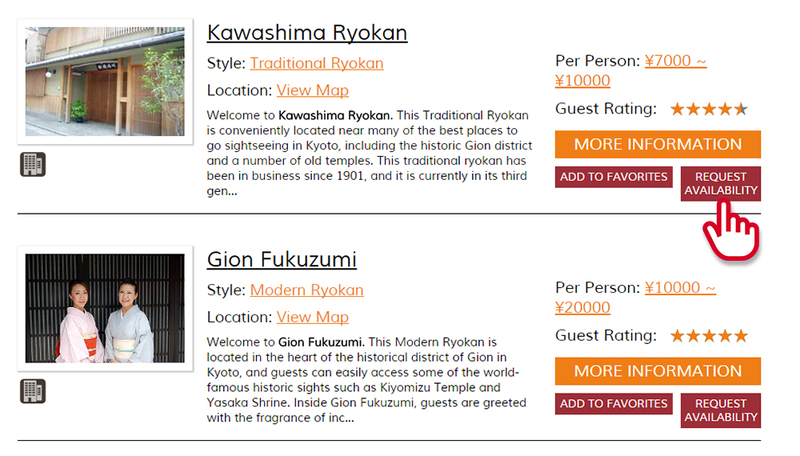 Give us as many details as possible about your itinerary and meals requirements, so we can inform the ryokan. Congratulations, your reservation is complete. 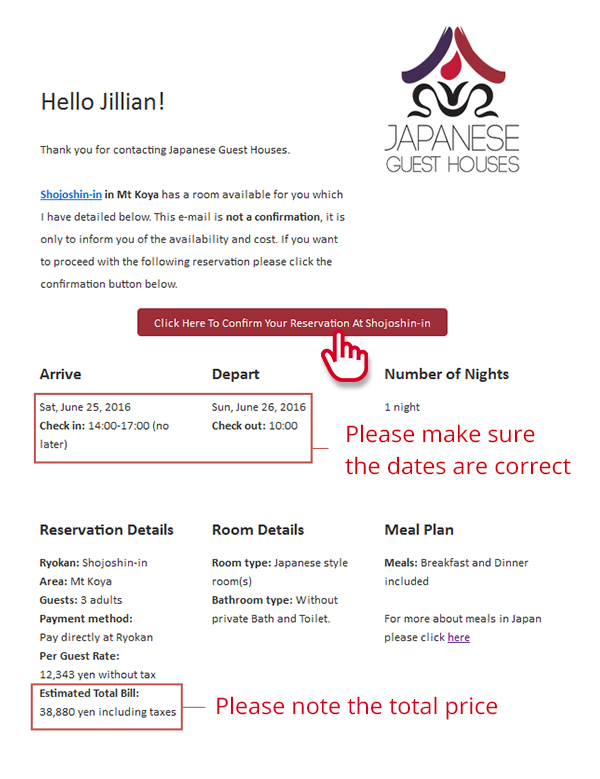 If you do not receive this email 3 business days after you confirm the reservation please contact us at +81 72-756-6242 Monday to Friday, 09:00 to 17:00, Japan time.